Karen Walker has never been one to shy away from questioning the status quo. 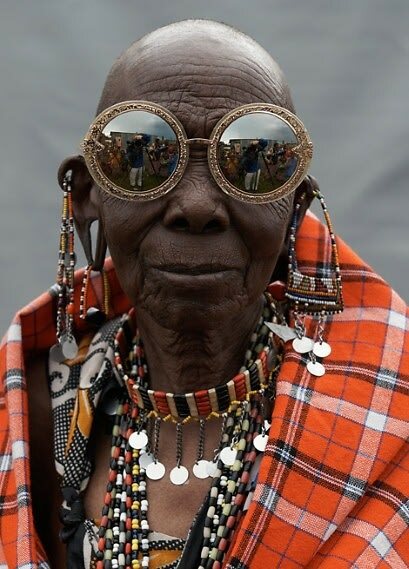 With her bold, oversized eyewear, the New Zealand designer has featured everyone from toddlers to senior citizens in her campaigns so, while her choice to forgo a Gisele Bundchen look-a-like in her new Spring 2014 campaign is not all that surprising, the story behind her choice to turn the camera on to the Kenyan artisans who contributed to her line is inspiring. Karen teamed up with United Nations’ ITC Ethical Fashion Initiative whose motto is "NOT CHARITY, JUST WORK" which promotes sustainable business instead of aid dependency. It provides marginalized artisans a doorway into the international fashion world where they can not only learn skills but also produce for brands that distribute worldwide. 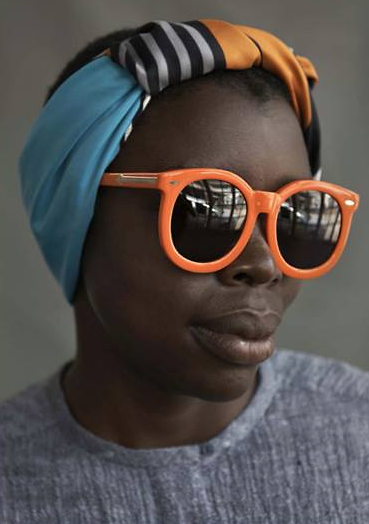 In support of this goal, Karen brought on Kenyan artists to design screen-printed pouches that will come with each eyewear purchase this season. 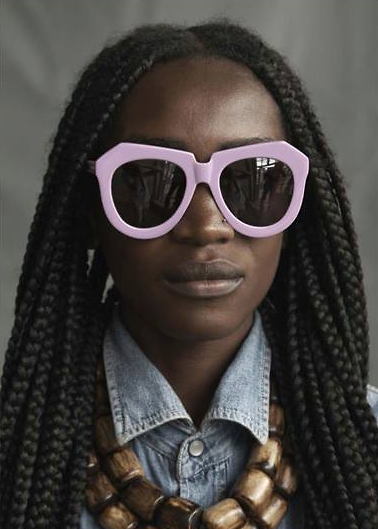 She then gave the artisans and community members a chance to shine in the spotlight sporting her shades in her Spring 2014 campaign. The models include machinists, cutters, tailors, production managers, metal workers and even members from the Massai tribe, who created pouches with elaborate beading that will be available for purchase. While the intricate beading is a tradition of the Massai artisans, tying it into the fashion world allows them to create a vital source of income. "The campaign captures our innate optimism, our love of maximum-impact in the images themselves and also directs attention to Kenya in a positive way. The images help to bring visibility to how fashion can be a vital vehicle out of poverty." The eyewear featured in the campaign will be available for purchase beginning February 10th but view more of the stunning campaign here.